Peter and Ronni Simon Gallery on Main Street in Vineyard Haven welcomes Mirabai Bush, co-author of a new book with Ram Dass, “Walking Each Other Home — Conversations on Loving and Dying,” on Sunday, Sept. 2, from 5 to 7 pm. Bush will be signing copies of the book, and if his health permits, Ram Dass will participate via Skype. Ram Dass, born Richard Alpert, is the founder of the Love Serve Remember Foundation and author of many books, including the spiritual classic “Be Here Now.” He first went to India in 1967 while he was still Dr. Richard Alpert, a prominent Harvard psychologist and psychedelic pioneer with Dr. Timothy Leary. He continued his psychedelic research until that trip in 1967. In India, he met his guru, Neem Karoli Baba, who gave Ram Dass his name, which means “servant of God.” What followed is decades of writing, teaching, and connecting with others through the basic tenet to live in the moment 100 percent of the time, and to live in love. 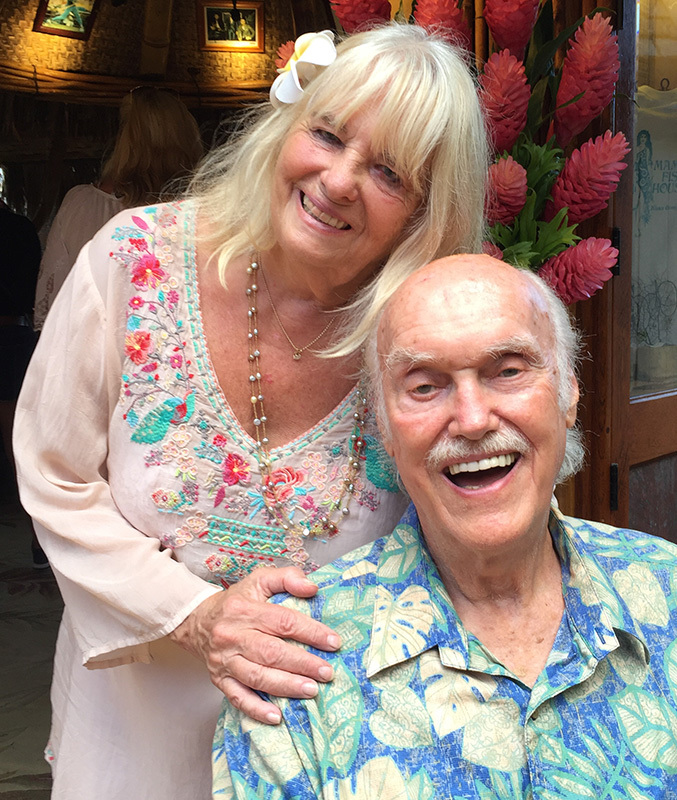 Today, Ram Dass lives in Maui, where he still shares his teaching through the Internet and biannual retreats.